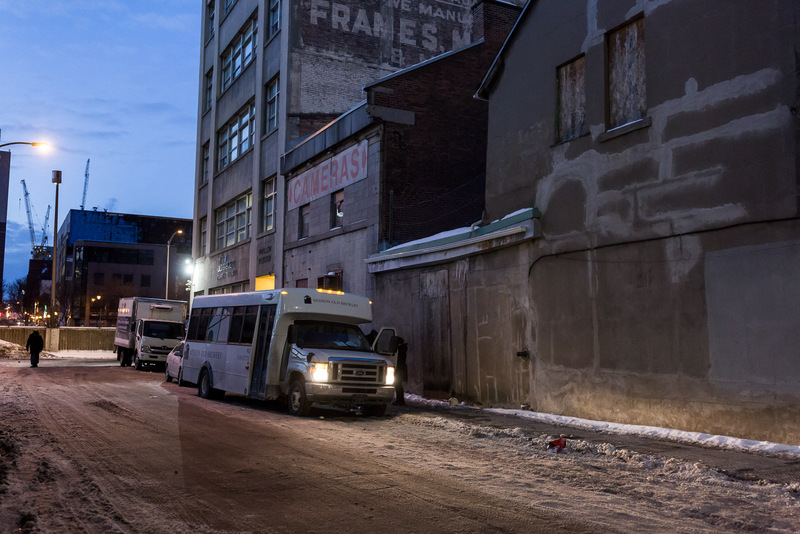 Our shuttle bus, operating overnight since December 1, will offer safe transport to the new site from over capacitated shelters and other key pick-up locations around the city. Yesterday, La Presse published an op-ed in light of Montreal’s first winter overflow unit having opened its doors at the old Royal Victoria Hospital. 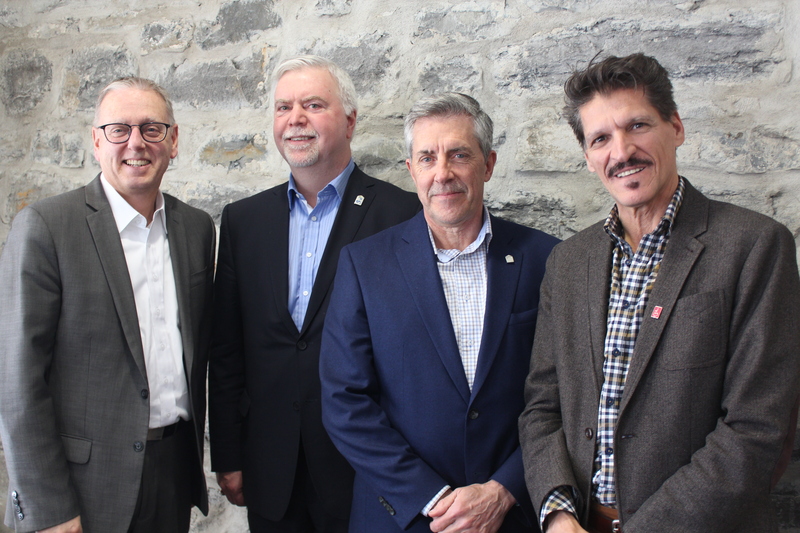 This initiative is the result of a remarkable, fast-paced collaboration of Montreal’s main homelessness organizations: Welcome Hall Mission, La Maison du Père, Accueil Bonneau and our own Old Brewery Mission, including our Patricia Mackenzie Pavilion for women. It is worth underscoring that this is a temporary solution to overcrowded shelters’ pressing needs, but the long-term answer to homelessness reduction remains in access to supported, affordable housing—not in additional warehousing of homeless people. Together, we will make it work. From left to right: François Boissy, General Director, la Maison du Père, Samuel Watts, CEO/Executive Director, Welcome Hall Mission, Matthew Pearce, President and CEO, Old Brewery Mission and Aubin Boudreau, General Director, Accueil Bonneau.